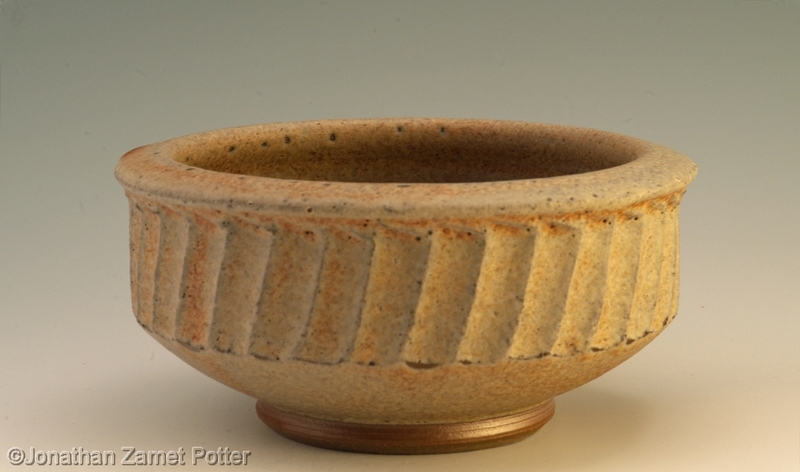 Small carved stoneware bowl. Diameter about 7" Matte iron glaze. A great little bowl for olives and other finger food. Haven't made any of these in a while but plan to get back to them. I enjoy the process and the masculinity (?) of these pots.